Today I'm sharing something fun and interactive. It's both a card and gift card holder which is pretty easy to replicate. When I attended one of the Scrapbook Expo events earlier this year I was mesmerized by the mechanism in this slider because it slides out on both sides. I bought some of the blank white kits and have finally had a chance to use and capture it on video. 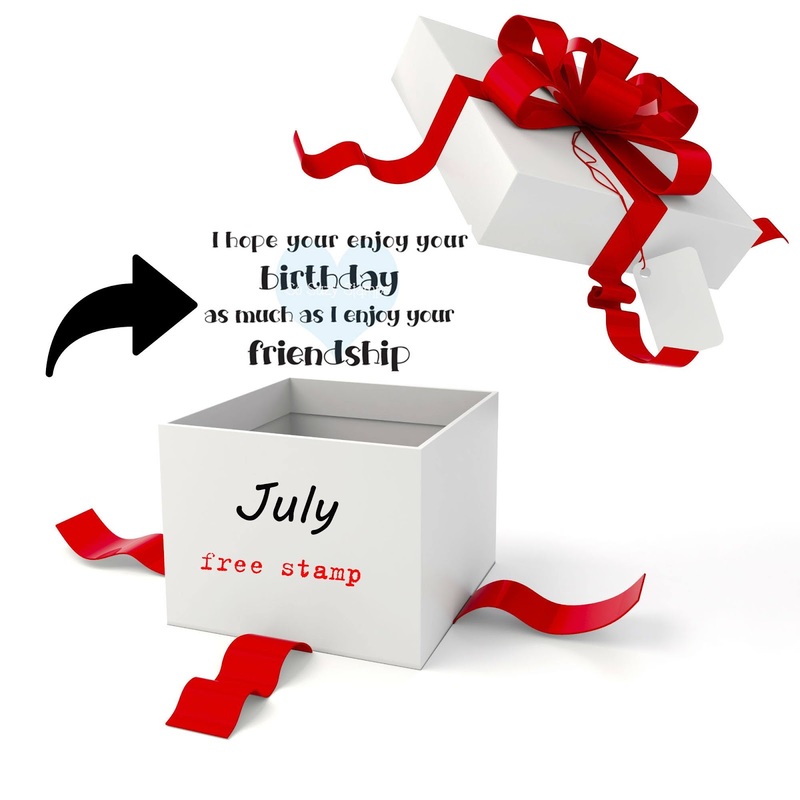 Combined with some fun stamps from Crackerbox & Suzy Stamps it turned out so cute!!! (pssst...one of these stamps is free with any purchase until July 31, 2018 at the store - might want to grab it while you can). 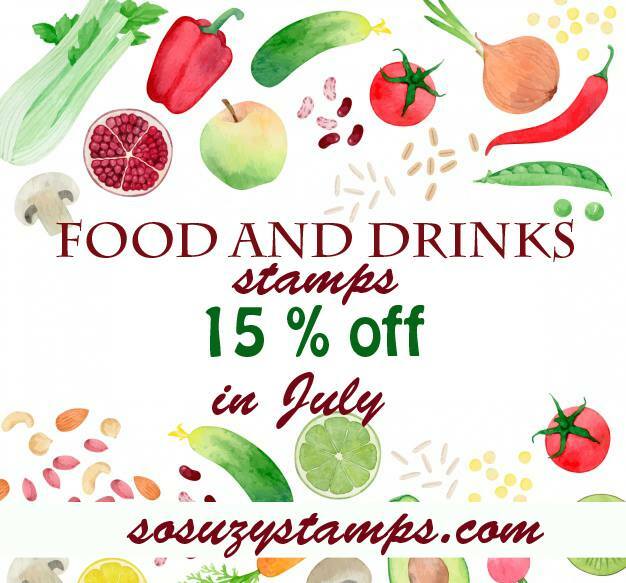 Food & drink themed stamps are 15% off during this month as well. 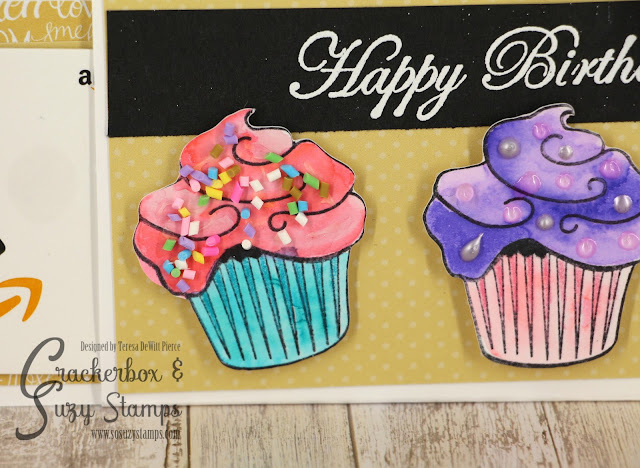 I stamped the cupcake multiple times onto Bristol smooth cardstock with a black waterproof ink. I decided to also test out some Arteza real brush pens that are new to me. I took advantage of a special deal during Amazon Prime day. I've used Zig Real Clean color brush markers in the past and was curious whether I would like these. I will give my verdict in the video (below). 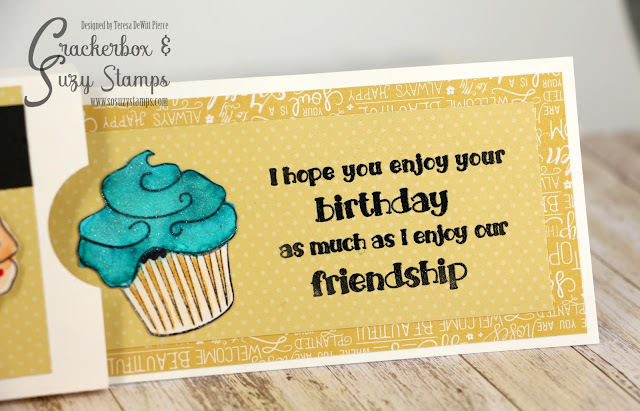 I stamped multiple times since I was using a new product and if some didn't turn out as I hoped, I could pick the best ones to complete this project - if I had some left over they are handy to add when I need to throw together a card real quick. 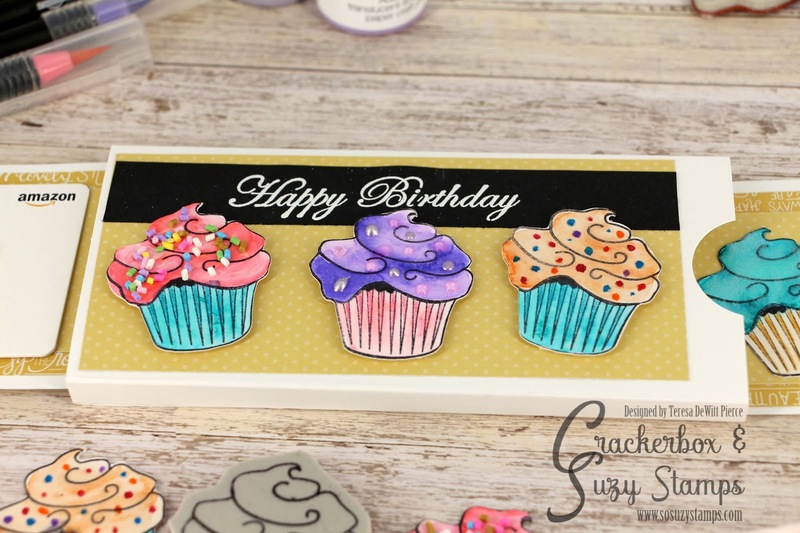 I added patterned paper to the slider pieces as you will see in the video. 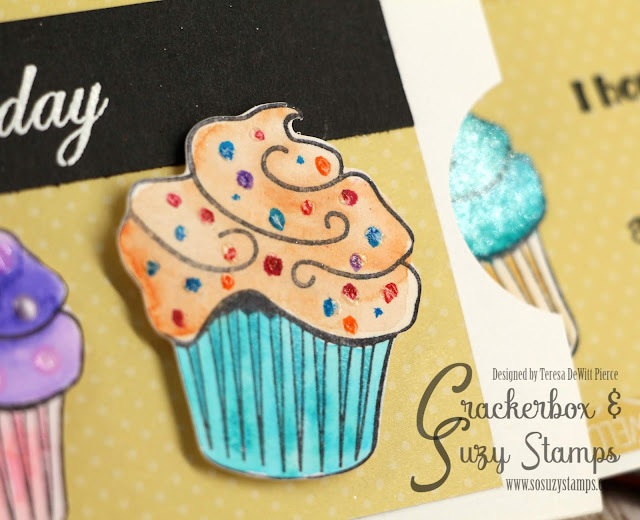 I wanted the main focus to be these cute cupcakes and show different ways to embellish them. You can buy these kits online from Pine Cone Press (link at end of post - non-affliate - I like this product and wanted to share). Arteza colors used on the "frosting" and "liner"
For those of you who entered the MISTI giveaway, you need to listen to the video to hear the winner announcement to claim the prize! I need to hear from the winner no later than 7/28/2018 (whether you comment here or on YouTube just let me know and I'll let you know how to claim your prize). Below is the list of supplies used on this project. I use affiliate links when possible, which allows me to earn a small commission when you shop by using them. If you are inspired by my work I really appreciate this - it funds future giveaways like the one I did on my YouTube channel for the MISTI. If you want further information about my current affiliate relationships please see my disclosures page. All opinions are my own and I will always give my honest advice about anything I use.